Ronald Hunter is a versatile artist, with an oeuvre that includes various modern and abstract styles. 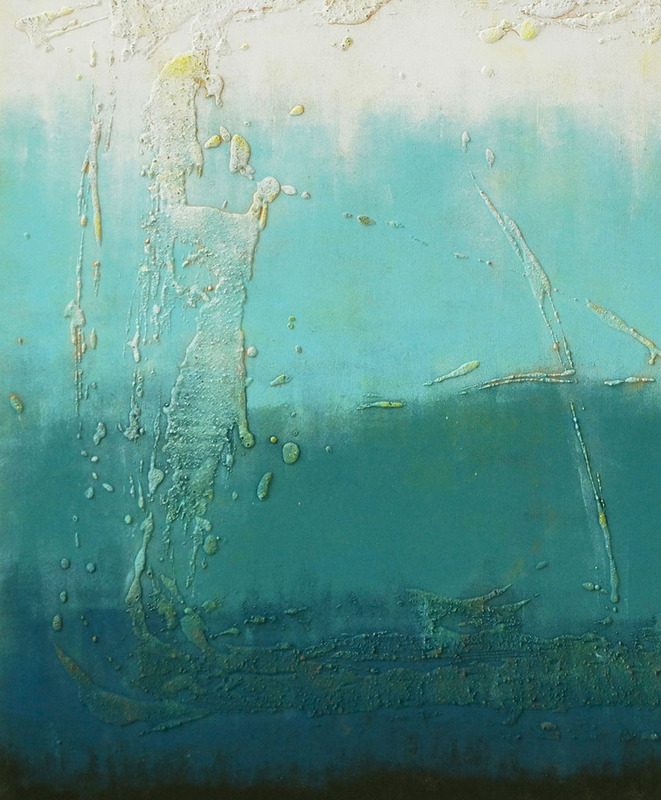 An important cornerstone in Ronald Hunter’s art collection is the Oceanic style. 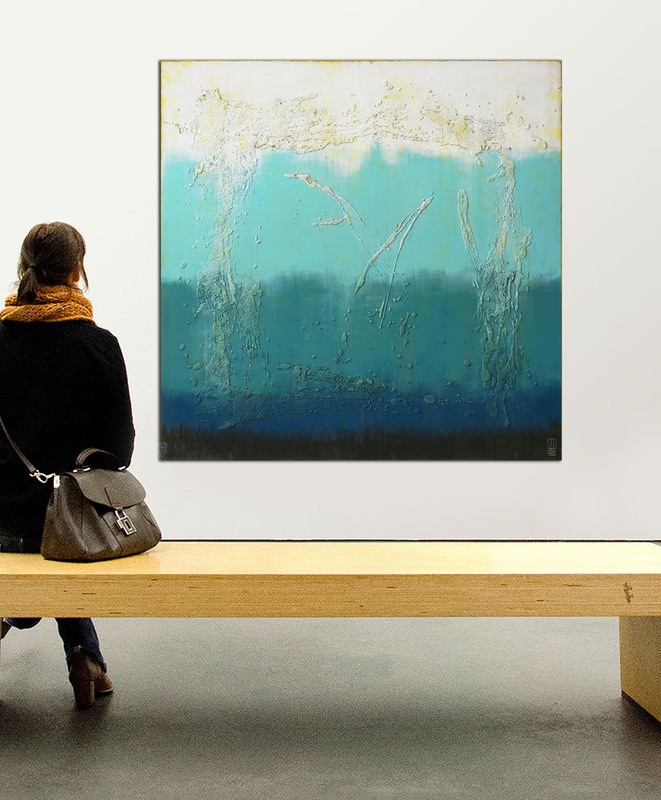 The impressive ocean painting serie is inspired by the sea in summer time. I just love the sea in summer time. Its vivid colors, how the rays of sun play on the surface on a bright day.. With the ocean serie I wanted to capture the feeling when you dive under water, those few seconds of perfect peace and calm. 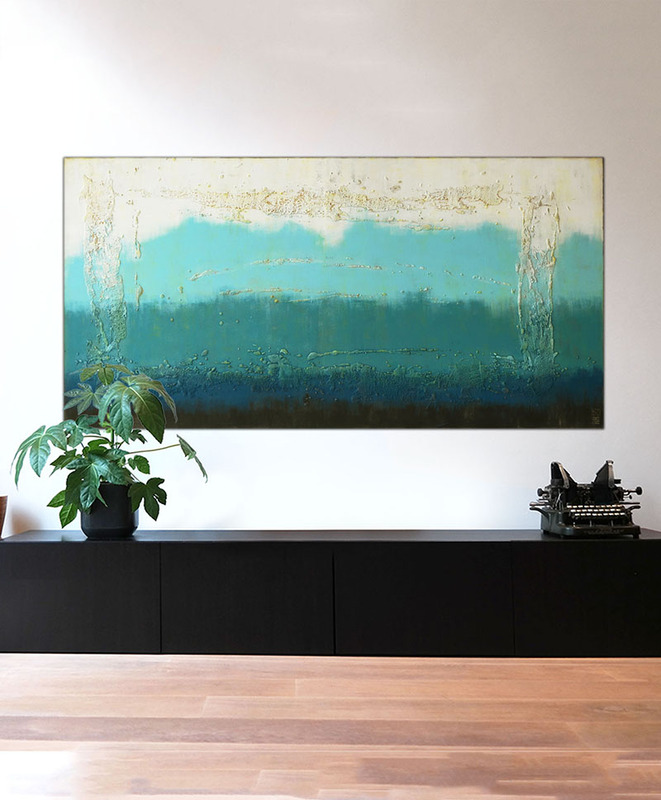 This beautiful art series is characterized by layers of rich blue tones, combined with yellow / gold accents. In particular the transition from lighter to dark colors seems to evoke a sense of depth, of being submerged. Ronald uses a light texture, so that the colored layers underneath are partially visible. 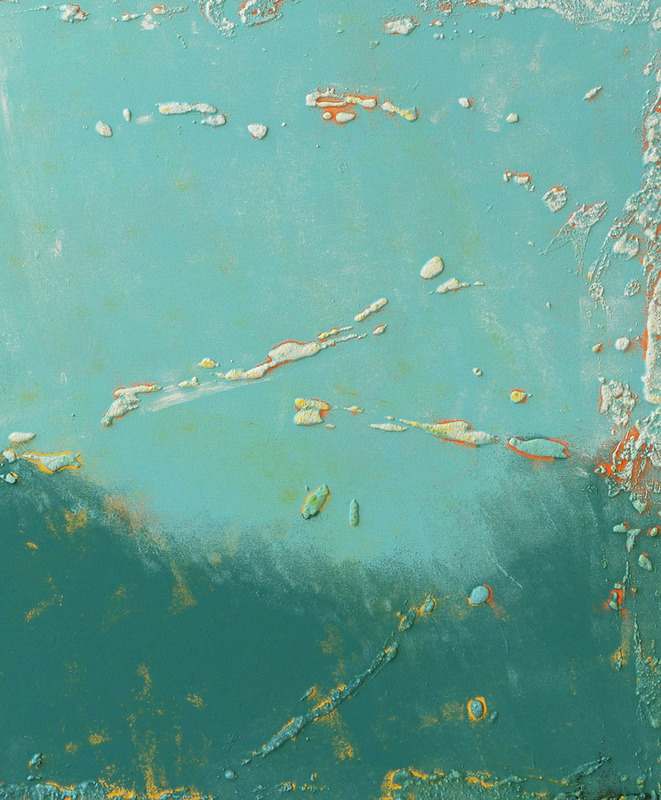 The purpose of this is to express the brightness and ever-changing colors of the ocean. The serenity of the paintings make a lasting impression. 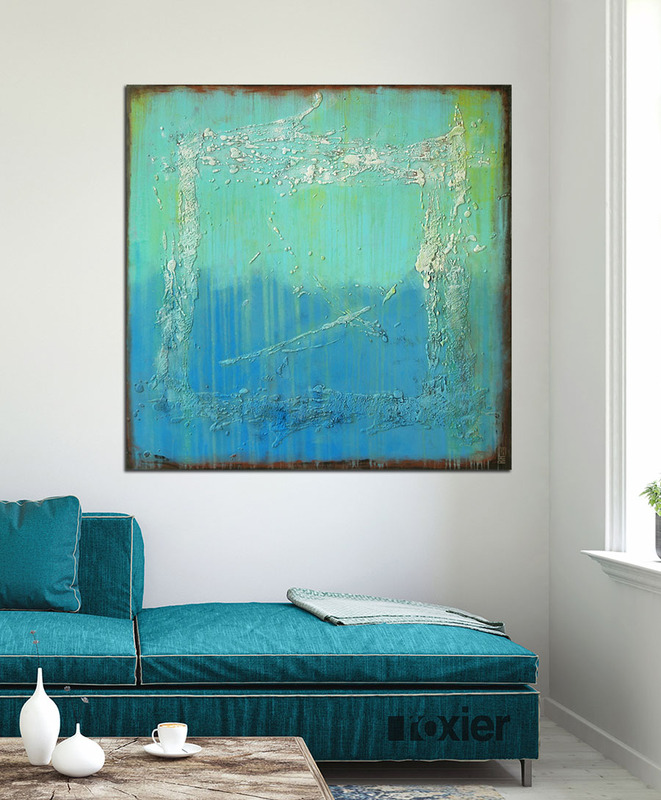 Especially the large paintings have a meditative quality that brings a nice calm to your interior. Ronald regularly adds new paintings to the serie. We suggest to follow him on Instagram; not only will you stay up to date with his latest work and projects. You will also be the first to know about discounts and promotions.